The average cost of a 4-year public college is $8,150 per year with in-state tuition and $30,450 per year of tuition and fees at a private college in the United States. These figures do not even account for such as room and board, books, supplies, equipment, and transportation. According to The College Board ®, the average 2009-2010 tuition increase was 4.4% at private colleges, and 6.5% at public universities. The ten-year historical rate of increase has approximately been 6.0%, and these figures are substantially higher than the rate of inflation in America. These staggering costs can leave parents and students with a feeling of getting punched in the stomach and wondering how they will cope. But, with a little hard work and creativity, you can slash your educational costs by thousands of dollars if you follow the tips listed below. Most colleges and universities around the United States require approximately 120 credit hours to graduate or 30 per year. For most colleges, both private and public, tuition is a flat rate if you take twelve hours or more. Or more is the key phrase there. I routinely took eighteen hours per semester, and I have had friends take as many as twenty-one or twenty-four credit hours. If you routinely took twenty-one credit hours per semester, you could finish a 120 hour degree in just three years. That would be a savings of $8,150 per year at public school and $30,450 per year at a private college. I have picked two colleges, one public and one private, in my home state of South Carolina to provide an idea of the costs of room and board which are not included in the average costs calculations in other portions of this article. For the public university, it costs an in-state student $4,250 to live in the dorms for a year, and it will cost $2,775 to eat in the school’s cafeteria for each meal. There are definitely opportunities to save money on these costs. For example, that cost equals over $300 per month alone for meals which may be a lot for a young, single student. For nine months of the year, the cost of a dorm room equates to roughly $470 per month which is a cost an enterprising student may be able to cut and appropriate towards tuition costs for a savings of thousands of dollars per year. You should never pay full price for college textbooks. Many schools are in cahoots with publishers and authors, and they change editions every year or two. But, the practice has met with a lot of backlash from students, parents, and consumer groups and has waned recently. There are tons of resources available for students to use to buy used textbooks such as Half.com, Amazon’s used book section, and even local bookstores in your area that specialize in used books. I also have had a lot of luck by approaching older classmates to took the course the semester before I was scheduled to locking up the book before the class even starts. If a brand new college textbook costs approximately $150 each, you can expect to pay almost $4,500 over the course of a college career. If you could buy those textbooks used, you could save thousands of dollars and use that money to help pay your tuition costs. According to The College Board ®, two years in junior college or community college and two years at a private college has an average cost of $70,000 over the course of four years. So, using the costs above, two years of junior college costs $4,550 per year for 30 hours of college credits or approximately $150 per credit hour. Attending two years of a community college will save you $51,800 of the full cost of a private education or $7,200 of the price of attending four years of a public university. Those savings are like cutting over a year and a half of college costs shaved off your bill. Not too shabby! Advance Placement credits can save you time and money. The better you do in high school can determine how long you have to attend college. 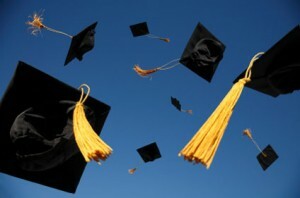 Subsequently, the longer you attend college will result in a higher cost of college. How much money can you save if you took enough AP courses in high school to place out of five courses at a university? That would be the equivalent of an entire semester’s worth of work for a savings of over $15,000 for private school tuition. Is taking five AP courses in high school unrealistic? Some colleges and universities also accept CLEP credit (College-Level Examinations Program ®) and others even give you credit for your work experience or military service. These are programs that you should definitely consider to easy the burden of the cost of college. The cost of a four year college education is staggering and getting worse every year. The cost of higher education is outpacing the rising cost of living by an incredible amount and only getting worse. Today’s college students owe it to their parents and themselves to receive a quality education at a reasonable cost. One way to control the cost of college is to be cognizant of how you can save money along the way and leading up to when the student enters college. Saving thousands of dollars now and not taking out massive student loans will start students out on the right foot building wealth. Side Note – This article is a part of GoBankingRates.com’s “Personal Finance Group Writing Project” on education and wealth. Stay tuned for links to other great articles from some more writers and details on how to vote for your favorite! You’re absolutely right that it’s best not to live in the dorms. Not only are the dorms expensive compared to other housing options, but they’re often very loud and unpleasant places. Love the ideas. Not living in the dorms is a great one – especially in this market. Landlords are probably much more desperate to fill spaces than colleges. So the cost differential is probably growing by the day! Previous post: Should You Share Your Will With Your Children?